I’m becoming more and more convinced that Gal Gadot is both Wonder Woman on-screen and in real-life. Not only did she achieve what seemed to be the impossible in starring in a DCEU movie that was actually good, but she’s also a loving and caring person, often speaking out for the bullied and abused. She’s the perfect embodiment of Wonder Woman’s ideals. We already know that Patty Jenkins has signed on to write and direct Wonder Woman 2 making her the highest paid female director of all time, yet things seem to be a bit trickier in getting Gal Gadot’s signature. Gadot already backed out of a dinner being held in Ratner’s honour where she was intended to present the director/producer with an award. “She’s tough and stands by her principles. She also knows the best way to hit people like Brett Ratner is in the wallet. She also knows that Warner Bros. has to side with her on this issue as it develops. They can’t have a movie rooted in women’s empowerment being part-financed by a man ­accused of sexual misconduct against women,” the source told Page Six. 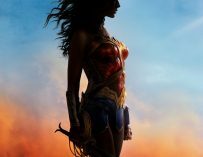 Warner Bros. has already announced that they will no longer be working with Ratner’s RatPac-Dune Entertainment company, yet Gadot wants to make sure they stick to their word, and the studio cannot afford to lose the actress, who with the success of Wonder Woman and her huge popularity is quickly becoming the DCEU’s biggest asset. She’s basically the DCEU’s Robert Downey Jr. and the franchise will more than likely die without her. 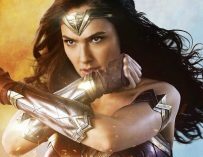 Gadot has been a consitently outspoken critic of some of the unacceptable sexual harassment going on not only in Hollywood but the world. “Bullying and sexual harassment is unacceptable! I stand by all the courageous women confronting their fears and speaking out. Together we stand. We are all united in this time of change,” she said via her Instagram account. 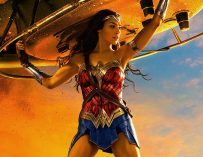 You can see Gal Gadot play Wonder Woman in Justice League, which hits UK cinemas on November 17th. Did This Promotional Cup Offer Our First Glimpse At Alden Ehrenreich's Han Solo In Solo: A Star Wars Story?